Read more about Talking Tom Bubble Shooter on our blog! Join everyone's favorite talking tomcat on an adventure to save his friends. 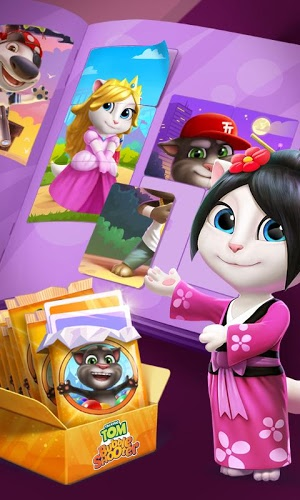 Talking Tom has been transported to a magical world in which he is the only hope to save his friends. Come along and help Tom by shooting bubbles to form chains and links. The more bubbles of the same color you connect, the more that you will pop and be that much closer to saving another friend. This thrilling adventure is full of new features never-before-seen ion a Talkin Tom game including bosses to crush, friends to unlock, and a whole lotta bubbles to pop. 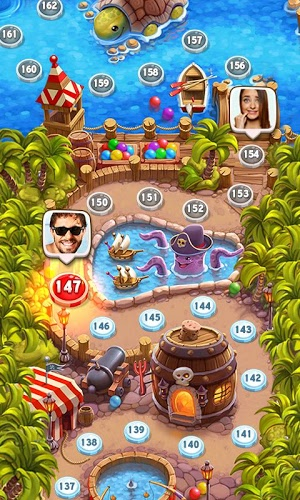 Play through the solo story missions, or challenge your friends in exciting multiplayer, bubble-popping action. Along the way, Tom will learn how to use a number of new power-ups like the mighty Bombs, unstoppable Lasers, and so much more. 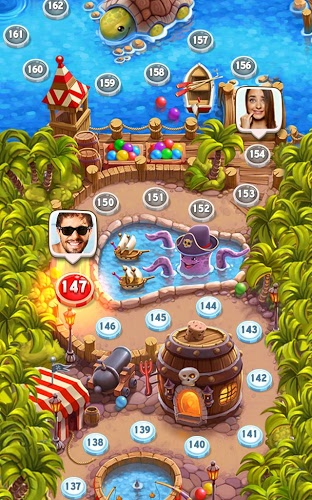 Click the link above to play Talking Tom Bubble Shooter on Mac and PC right now. 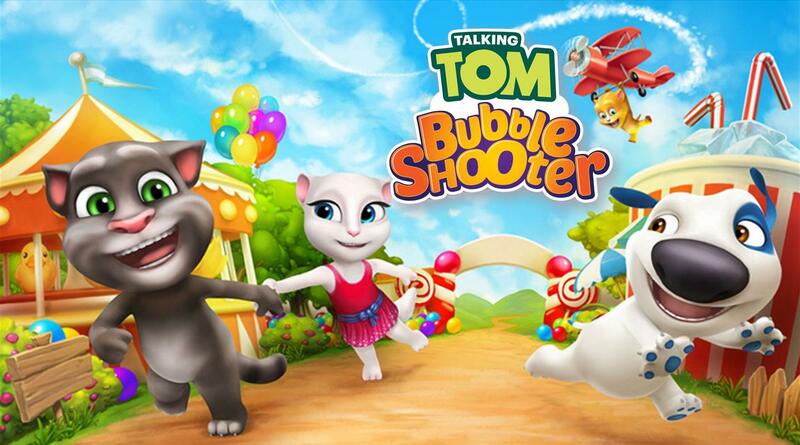 Why play Talking Tom Bubble Shooter on Bluestacks? 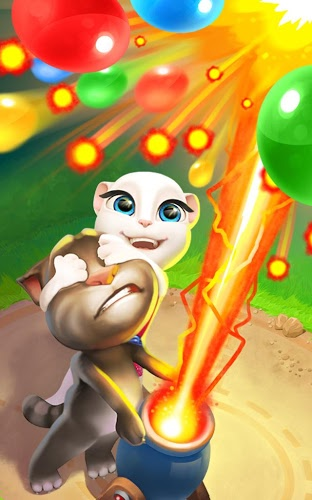 Play Talking Tom Bubble Shooter. Redeem your BlueStacks Points. Get rewards! 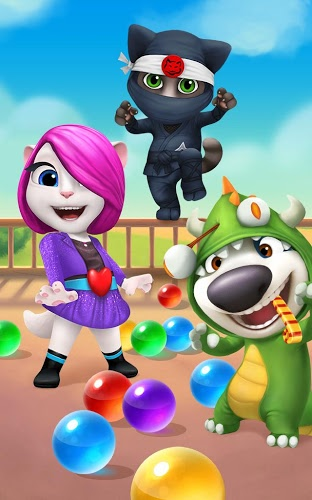 Talking Tom Bubble Shooter on BlueStacks comes with a default Keymapping, created based on feedback gathered from experienced gamers to ensure an optimal gaming experience. 6 You're all done! 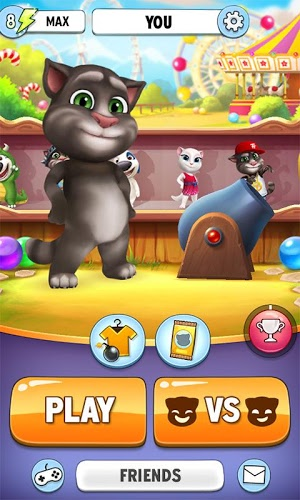 Enjoy playing Talking Tom Bubble Shooter on your PC. This will be the greatest adventure of Talking Tom's life, and he is in dire need of your help. Don't let Talking Tom down and head down the long and dangerous road to save his friends. The best way to unlock all of Tom's friends and crush every single boss is by using the BlueStacks 4 player to change the game. Playing Talking Tom Bubble Shooter on PC and Mac will give you access to better controls, longer playing time, and a much larger screen. The video above will highlight more awesome features and explain how easy it is to install the free player on your computer now. 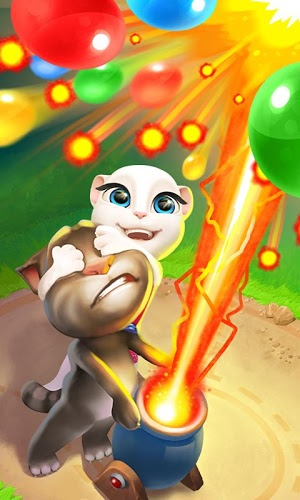 The core of Talking Tom Bubble Shooter is friendship and doing anything to help your friends when they need it. 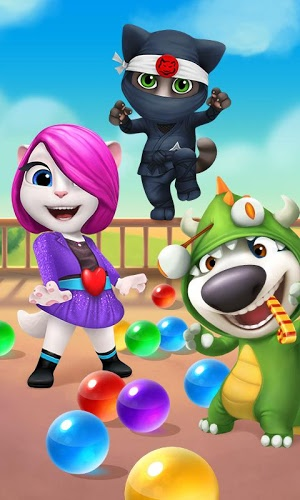 Spread the love and message of friendship by streaming Talking Tom Bubble Shooter to the Twitch.tv community of gamers and bubble-shooter players. With BlueStacks 4, you now have the most convenient access to Twitch.tv broadcasting for mobile players. Simply click one button to begin broadcasting your latest mobile exploits to the rest of the world. Twitch is the number one place for gamers to broadcast their game footage, watch other gamers, and chat live during broadcasts with gamers all over the world. Join this new age of gamer with BlueStacks 4.